Simple … bouquets by YOU! By admin • March 9, 2012 • Uncategorized • Comments Off on Simple … bouquets by YOU! It’s not so cold in the traditionally “frozen” Northeast right now so I’m thinking of warm sand and the fabulous Memorial Day weekend retreat that feels just over the horizon, yet is months away……. 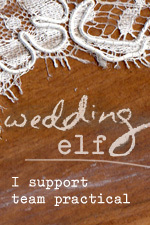 By admin • February 14, 2012 • Uncategorized • Comments Off on simple… marry or not?